No party menu can be complete without canapés. Whether you are hosting a cocktail dinner, wedding ceremony or corporate function, all menus should include a variety of canapés. Our menus are designed to allow your guests to mingle, with a drink in hand while enjoying our gourmet canapés. We charge by the platter so that you know exactly what you are getting for your money. This allows you the flexibility you need for your function. At Salt of the Earth, we have an extensive range of canapés available for any catering event throughout Sydney. Our canapés are simple yet intriguing little morsels which can be taken in a single bite with an unparalleled taste. Our canapés may look amazing, but they taste even better! We offer a wide variety of hot canapés, cold canapés and dessert canapés. Our professional and friendly team help you identify exactly what you are looking for in your canapés. We can suggest a selection of different options that will fit your event or theme. Our staff can also assist with the display and serving of the canapés, ensuring that they always look as good as they taste for the duration of the event. Make your event more exciting with our mouth watering canapés! 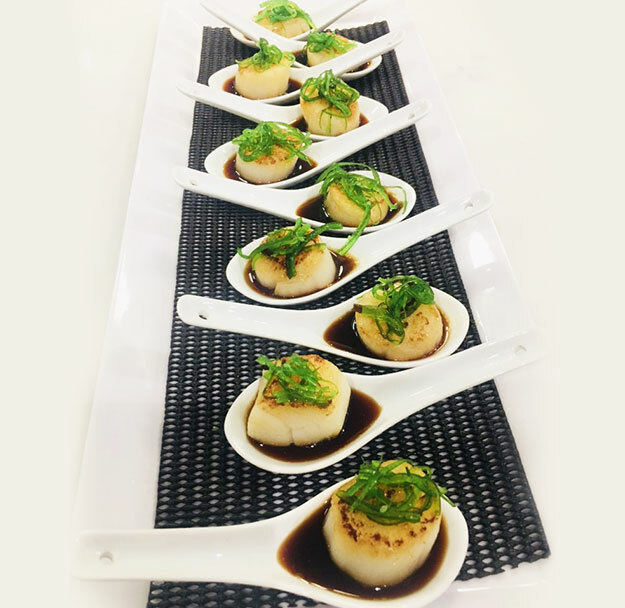 To find further details on canapés and catering in Sydney, call us on (02) 9402 1095.